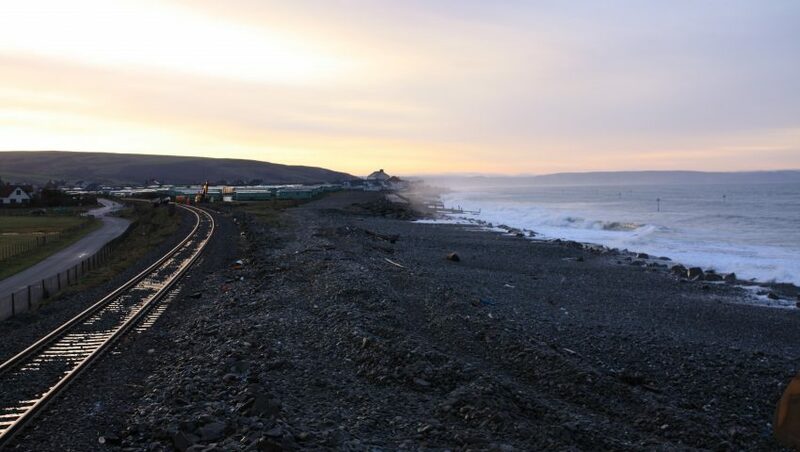 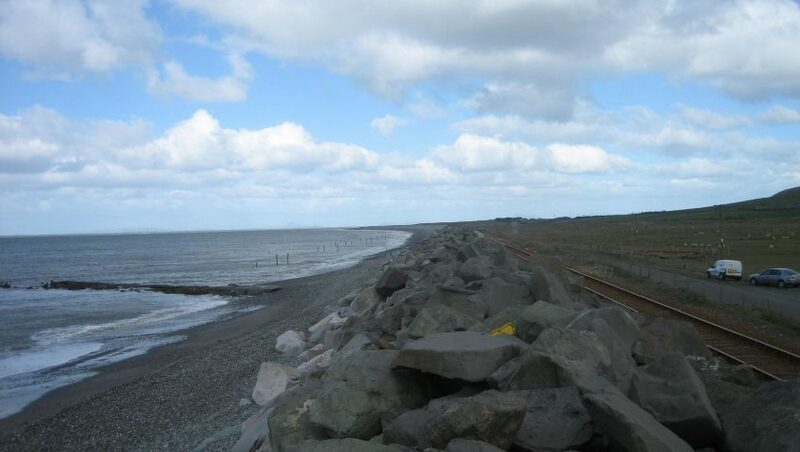 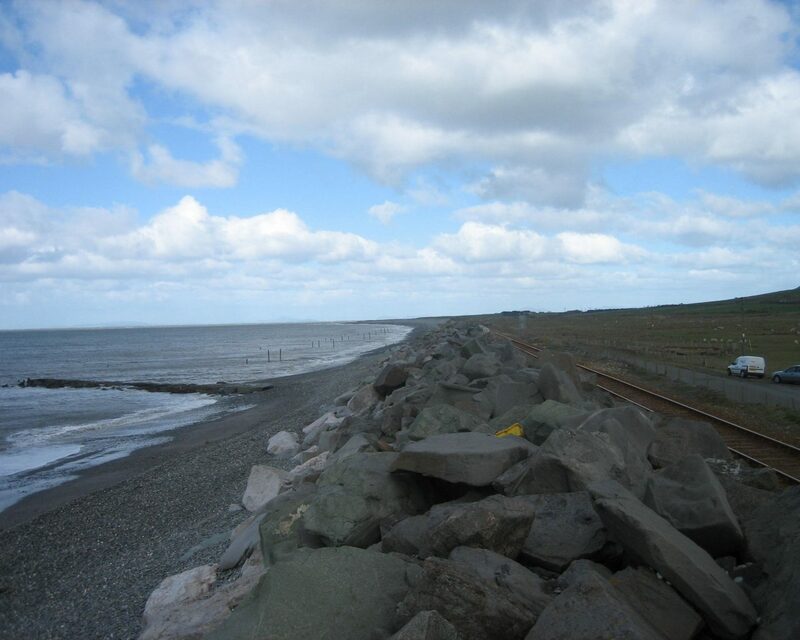 The Tywyn Sea Defences site is located to the north of Tywyn town centre on the Dovey Junction to Pwllheli line on Wales’ west coast. 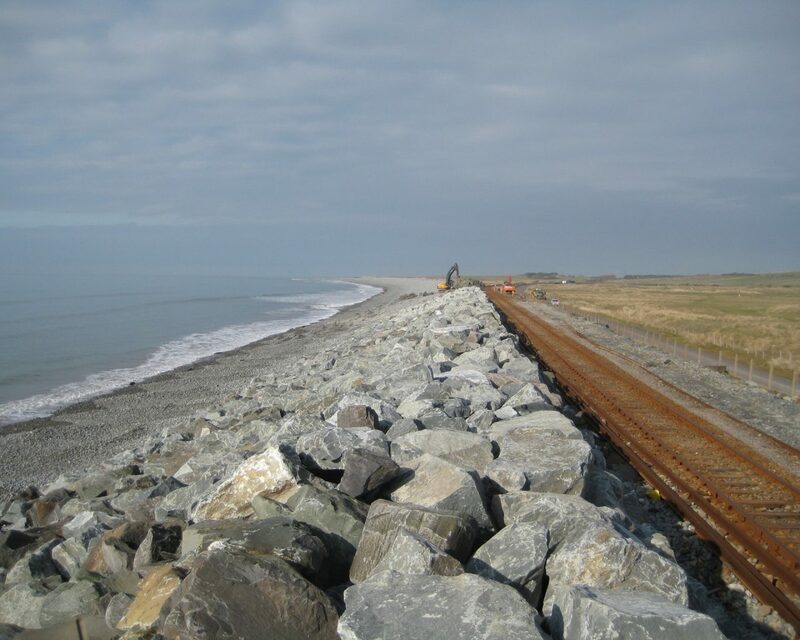 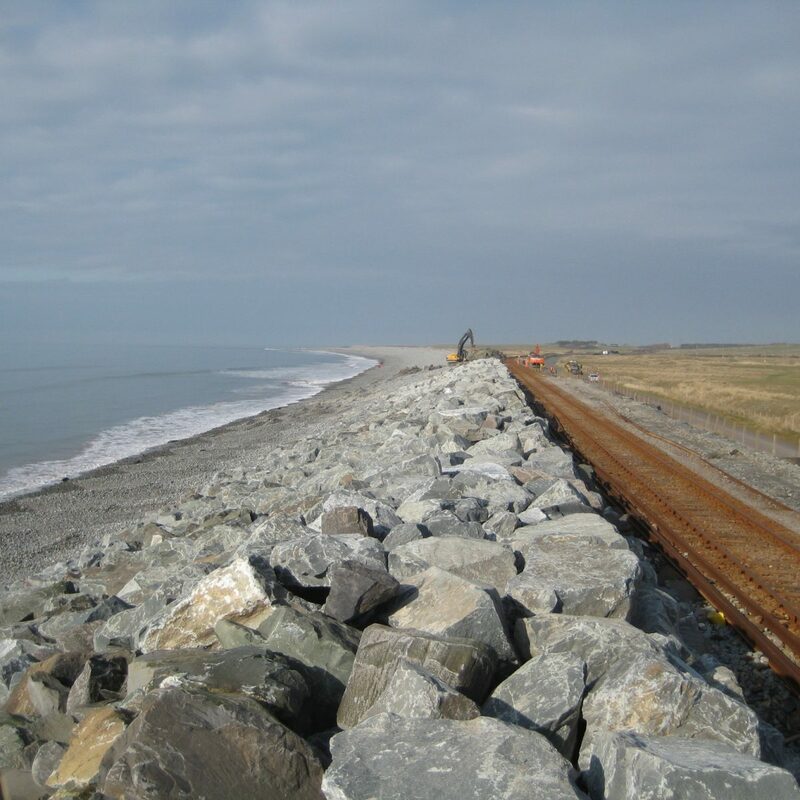 The railway is positioned at the crest of a shingle beach, protected from the Irish sea by a rock armour breakwater consisting of 2 to 3 tonne granite boulders. 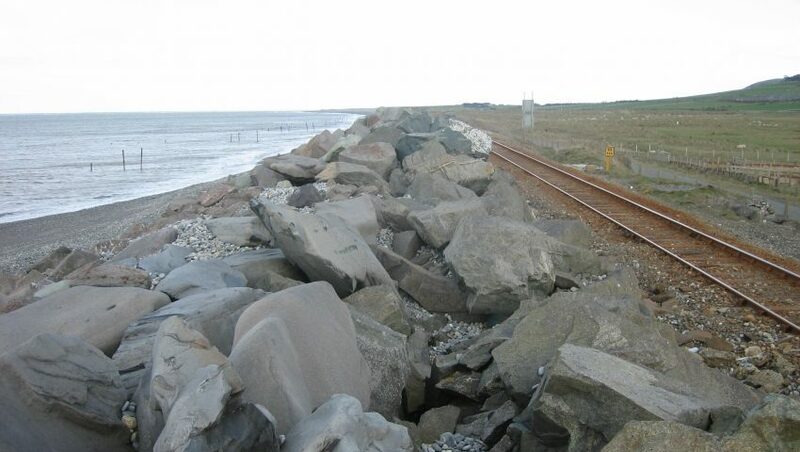 Years of wave action has caused rocks to deteriorate and shift, leading to gaps and low spots along the breakwater. 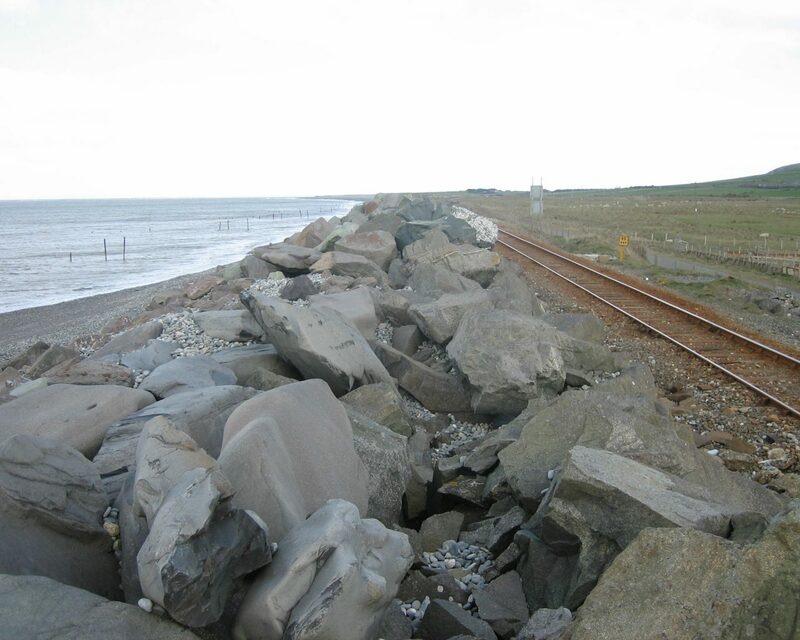 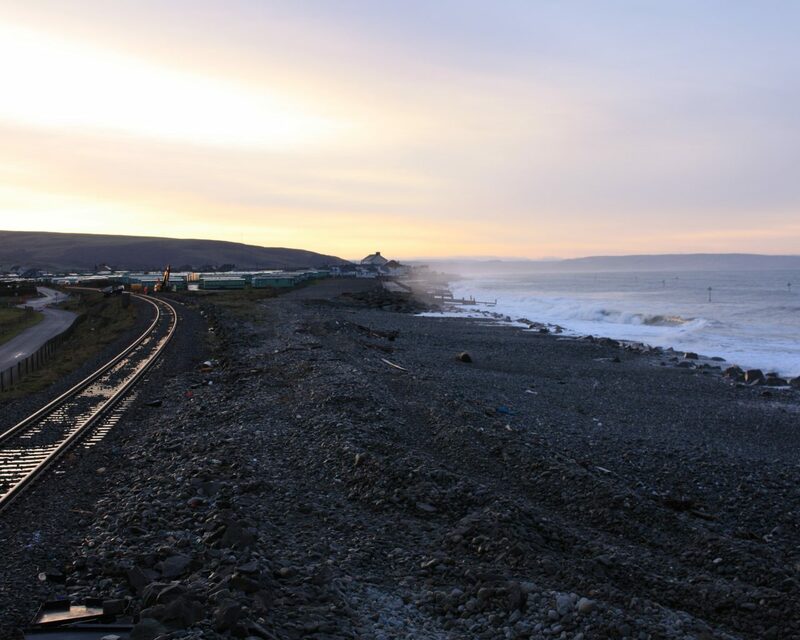 Sea spray and shingle have been crashing onto the railway during high tides disrupting rail operations on a regular basis in recent years. 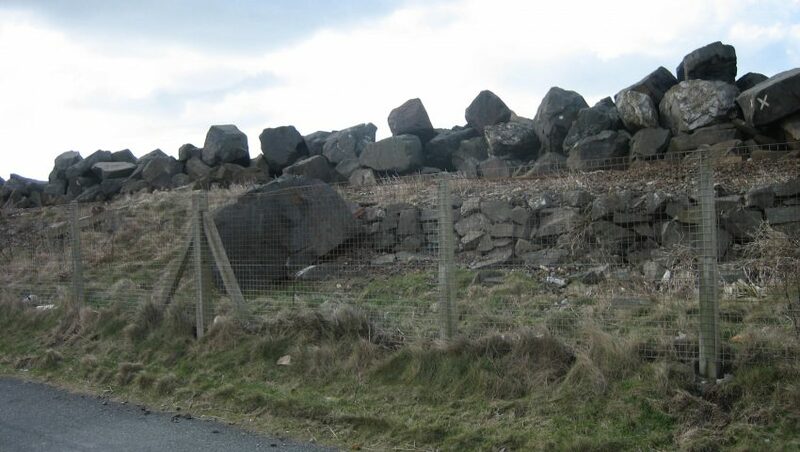 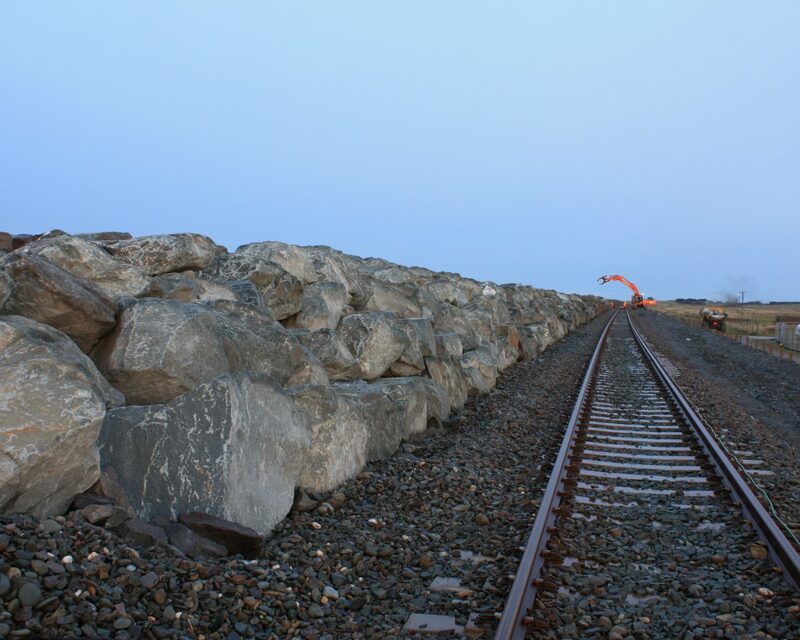 Crest height of the break water raised to 8.0m AOD, and re-constructed with a 1V:2H seaward facing slope using imported 3 tonne granite rocks. 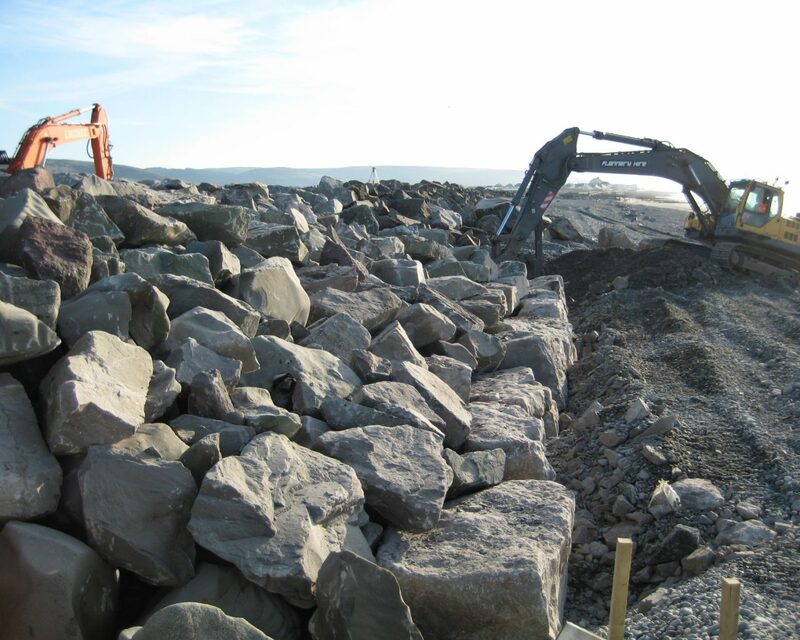 Of the 1km long structure, 7 of the worst affected areas of the breakwater were repaired, totalling over 500 metres in length. 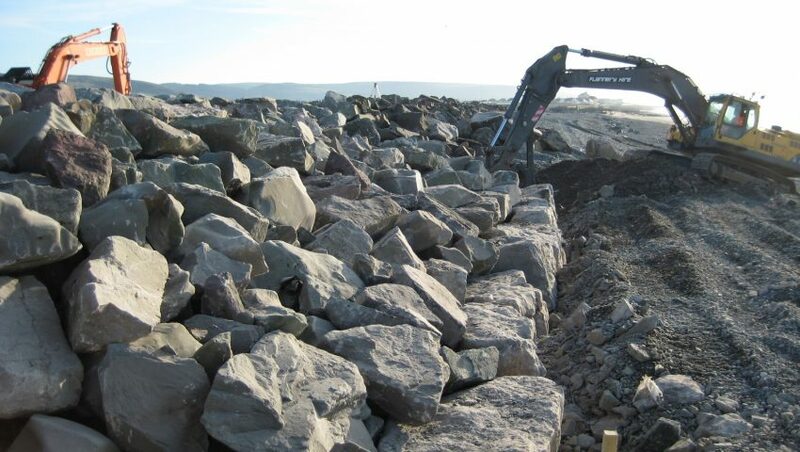 The breakwater was re-built using two 45 tonne excavators mounted with rock grapples. 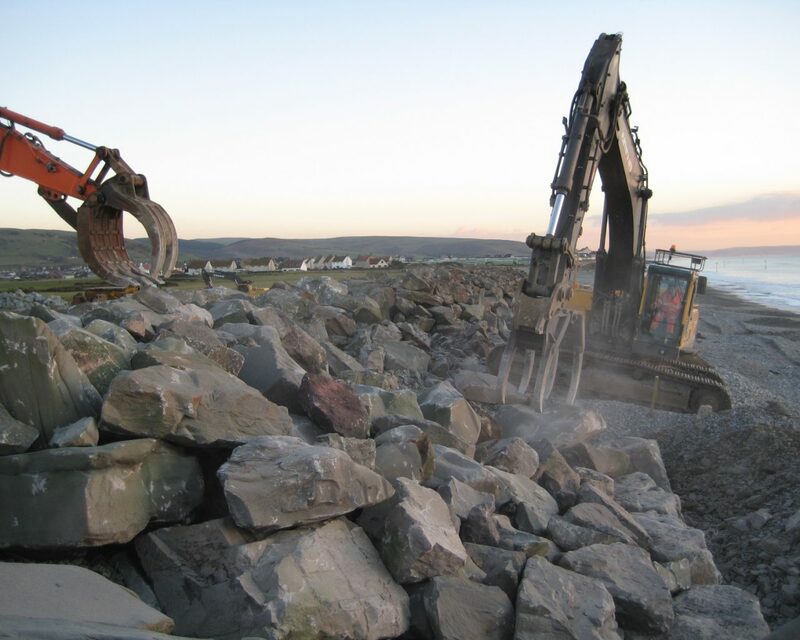 A temporary work platform for one of the excavators was constructed at the rear of the break water to re-build the rear face of the structure. 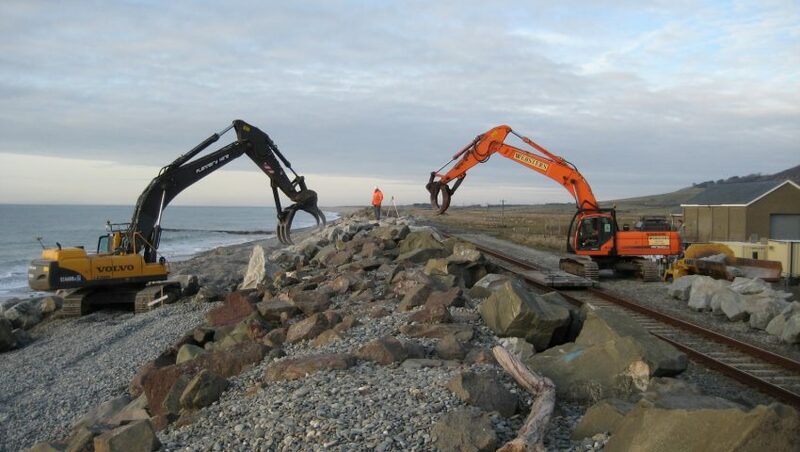 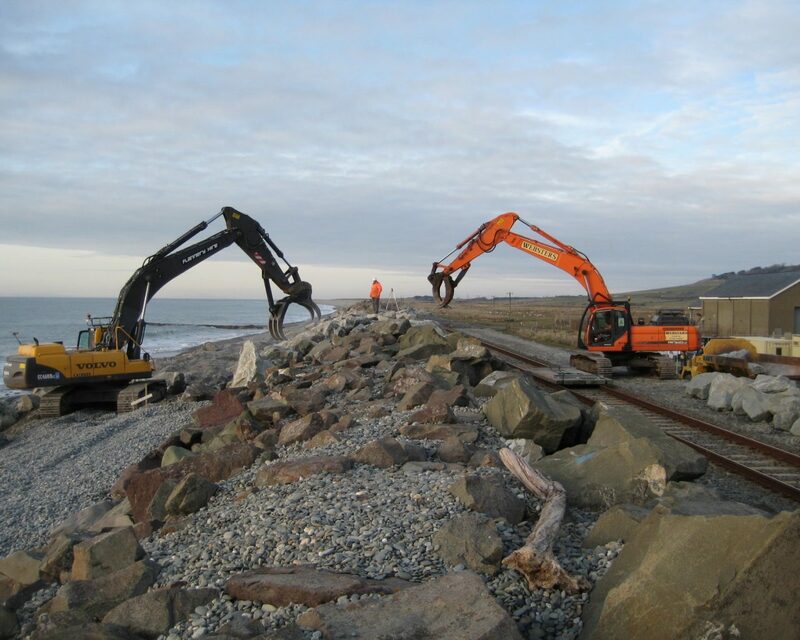 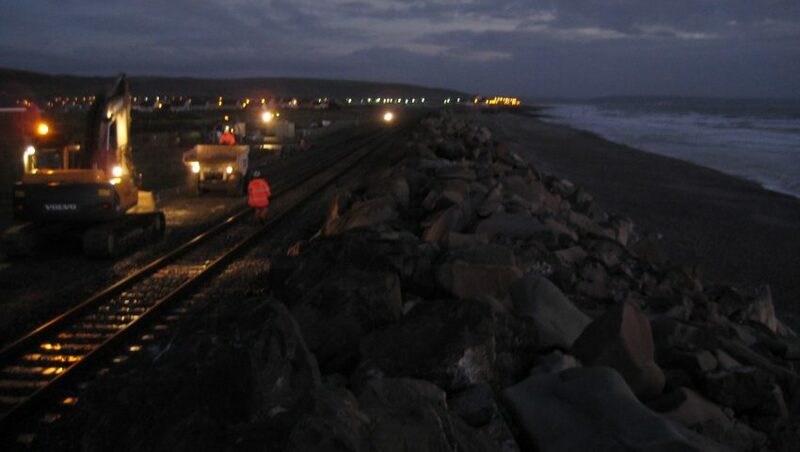 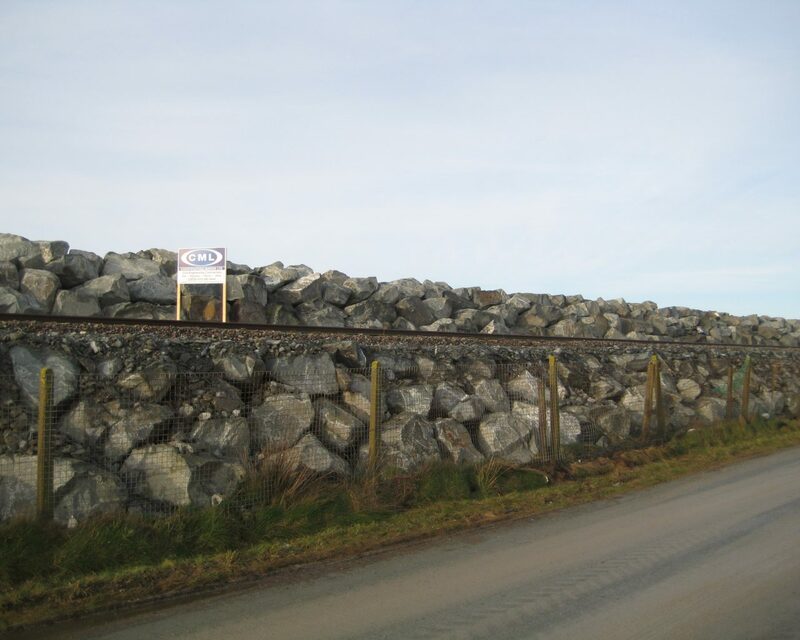 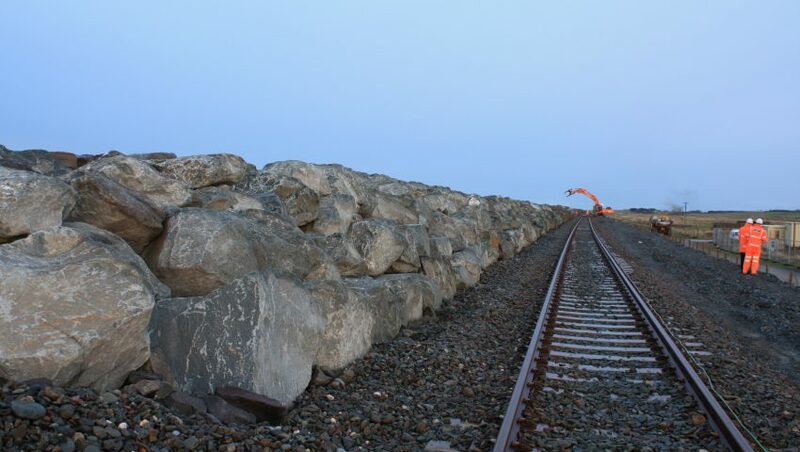 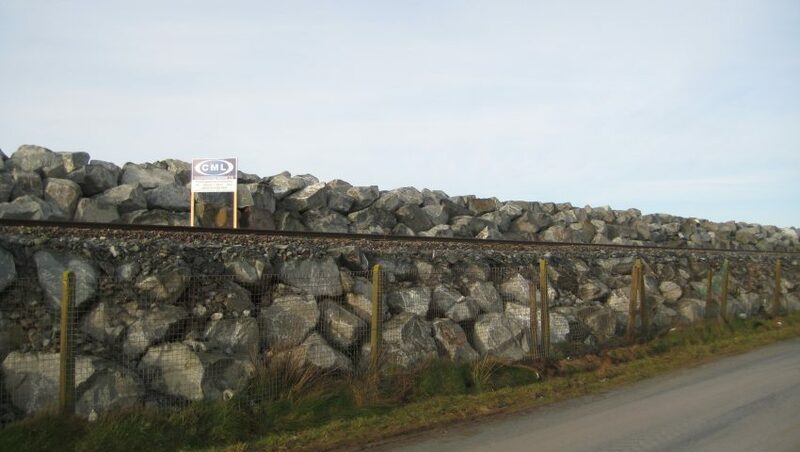 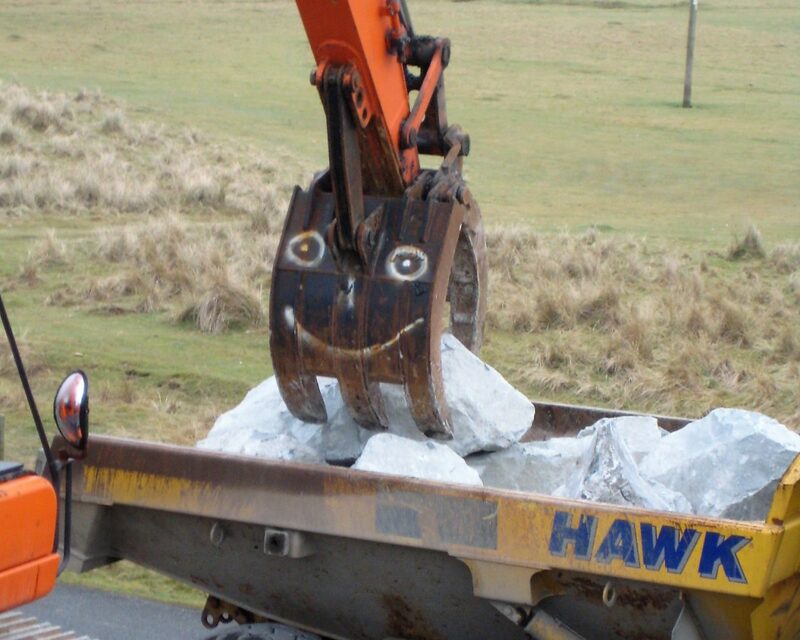 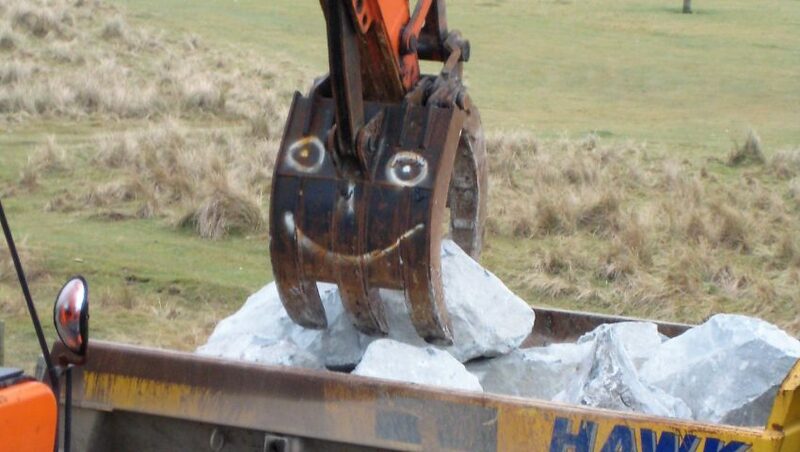 Imported granite rocks were lifted over the railway under possession of the railway line, minimising the amount of plant activity required on the environmentally protected beach. 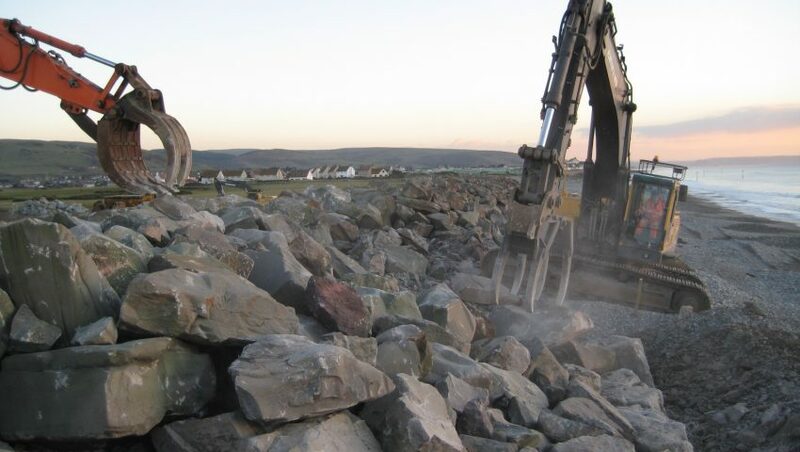 Over 10,000 tonnes of additional rock armour were imported, and over 90 reinforced concrete beams were relocated during the re-building of the breakwater. 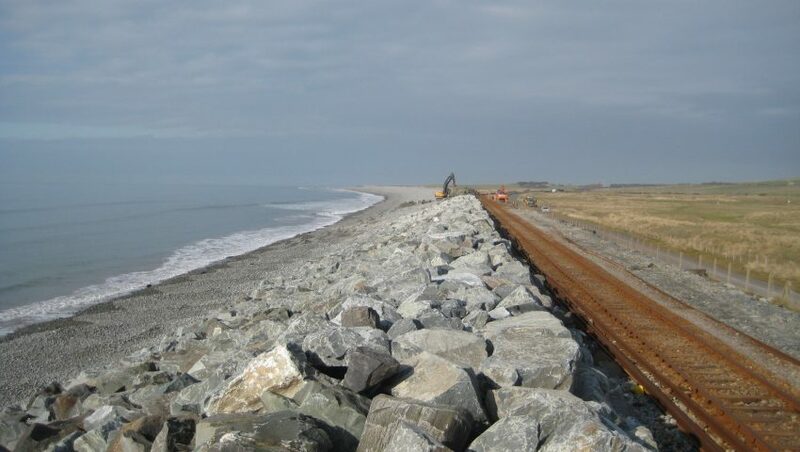 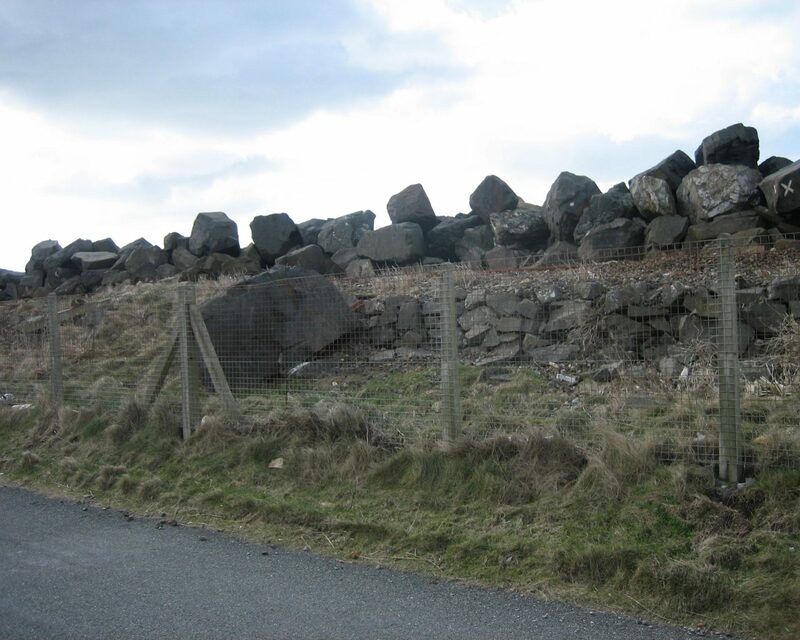 Working closely with the Countryside Council for Wales and fisheries agency throughout the project helped complete the project on time and budget, and to the satisfaction of all parties involved. 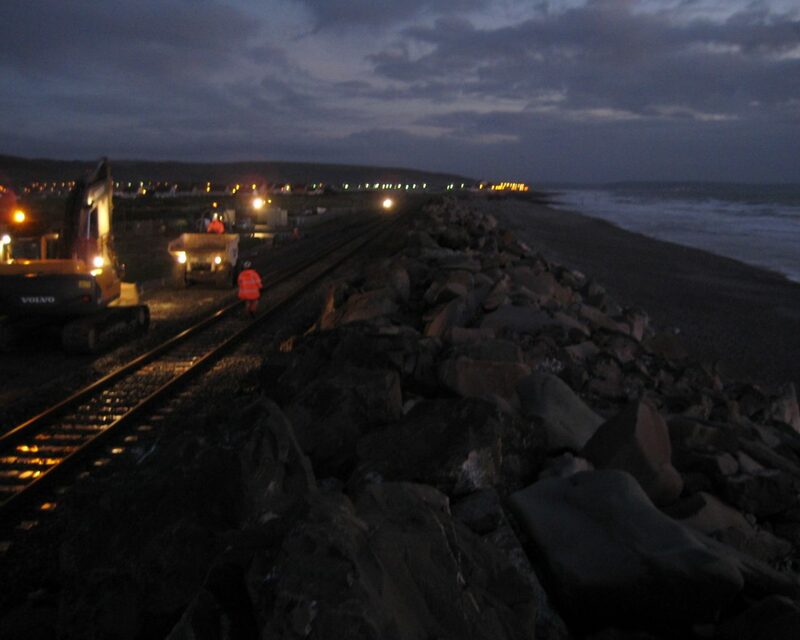 The works caused minimal damage to the existing environment due to the work method devised by CML, reducing heavy plant activity on the beach.